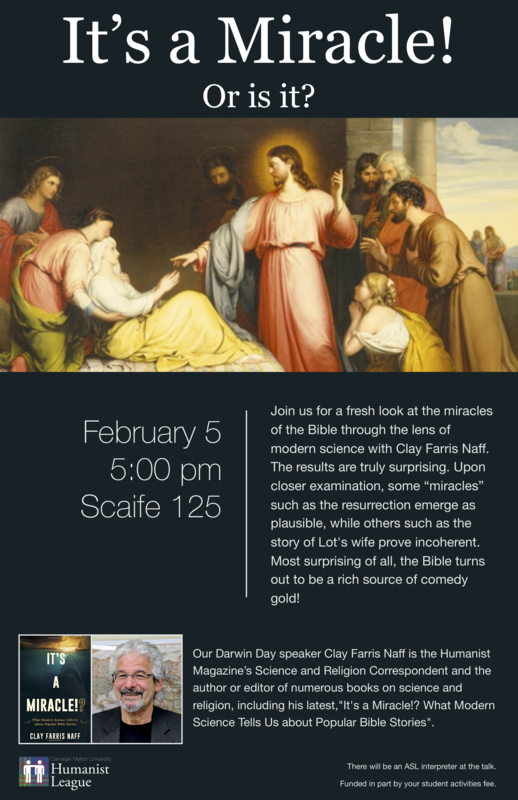 Join us for a fresh look at the miracles of the Bible through the lens of modern science with Clay Farris Naff. The results are truly surprising. Upon closer examination, some “miracles” such as the resurrection emerge as plausible, while others such as the story of Lot’s wife prove incoherent. Most surprising of all, the Bible turns out to be a rich source of comedy gold! Previous: Fishbowl Meeting Next: What is Humanism?